Here at Connects2, we offer hundreds of products which allow you to keep all the best features of your original system when upgrading your stereo. From steering wheel control, to amplifier, to menu and settings retention, we have your vehicle and 95% of all cars currently on the road covered. In 2017, no-one should be without clear, crisp navigation to aid them in their journeys. Whether planning a new route to work, taking a vacation to a new place or cruising round the bustling streets of a city, there’s no reason to get lost. Our Adaptiv range comes with industry-leading iGO Primo navigation software which means exploration has never been easier – it takes the stress out of routing so you can enjoy the drive. With stunning visualisation, complex junctions are displayed in three dimensions to provide a rapid understanding of your next manoeuvre, whilst true-to-life renderings of famous landmarks, valleys and hills are clearly displayed. Adaptiv keeps you in control with live traffic information so you can avoid accidents and areas of congestion and its sophisticated route calculation suggests the fastest, and most economically efficient, way to your destination. The modern driver has all kinds of tools at their disposal, and the Adaptiv has been designed like a swiss-army knife to provide every connection type and feature you could ever need. If you’re not satisfied with your OEM head unit’s features, Adaptiv provides a viable and less costly alternative, allowing you to evolve your existing system far beyond the manufacturers capabilities. Need more connections? 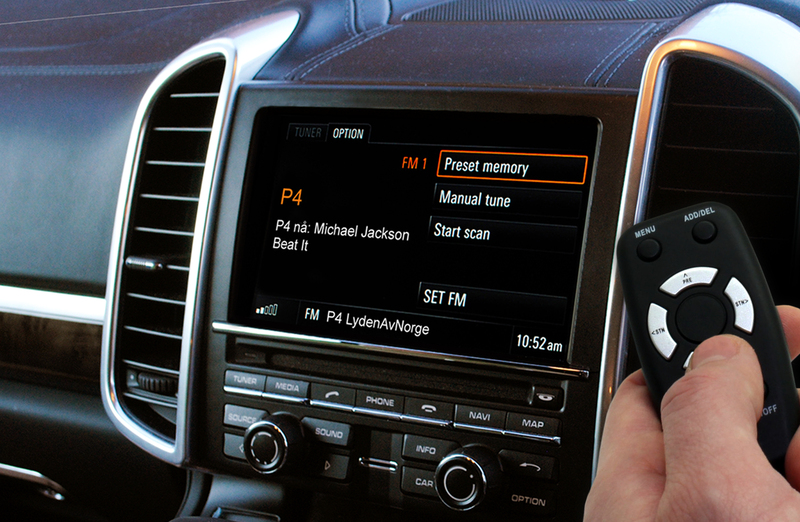 Aux, SD, USB and HDMI are all included so you can quickly link up your devices to your vehicle, saving space and time. Bluetooth functionality is also an option available for our BMW Adaptiv, allowing you to call hands-free and stream the music you love via A2DP. Road accidents are unfortunately still a huge cause of injury and death around the world, but the technology is there to help prevent these terrible events from happening. Reversing cameras are now becoming the norm in modern vehicles because of their proven benefits when it comes to road safety, but some older models are still without them. Adaptiv comes with a reverse camera input as standard, allowing the plug and play installation of an aftermarket camera through the OEM head unit. With this upgrade, you guarantee heightened safety for both yourself, your passengers, pedestrians and other drivers on the road. Here at Connects2, we always strive to design products for our customers all over the world – Adaptiv is no different. Industry standard connections are included which are compatible with devices worldwide, and mapping software packs are available at point of purchase for Asia, Australia, New Zealand, Europe, United Kingdom, India, South America, USA and Canada. With our international network of dealers, you can be sure that Adaptiv is available somewhere near you. A full system replacement can be a costly process and often requires a high level of technical knowledge to perform successfully. Our Adaptiv is a covert box which sits behind the dash or in the glovebox and can be installed in around thirty minutes, simply by removing the head unit and making all connections to the interface. Controlling the device is made easy through a bespoke panel or the vehicle’s steering wheel controls (application dependant) so you can sit back and enjoy Adaptiv effortlessly, wherever you are.